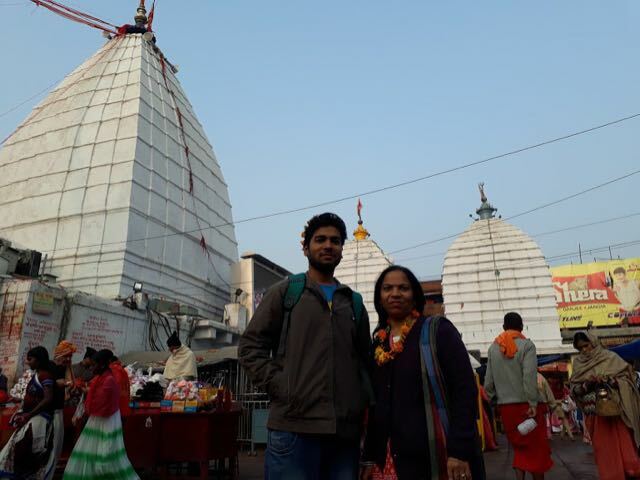 Kolkata to Deogarh - Babadham aka Baidyanath dham - Ghumakkar - Inspiring travel experiences. We boarded the train “12369 KUMBHA EXPRESS” from Howrah to Jasidih station which started at 01:00 PM and schedule to reach at Jasidih around 05:00 PM same day. It was late by 2 hours so we reached there at around 07:00 PM. From there we took an auto which took us to our pre-booked hotel which was near to Baidyanathtemple. As per our R&D on internet, we thought that temple remains open till 9 PM in the evening for darshan. Babadham is located in north-eastern Jharkhand, four miles from Jasidih railway station on the main line of the Eastern Railway from Howrah to Delhi. There is a small railway branch line from Jasidih to Babadham. The railway station at Babadham is called BaidyanathDham. The BaidyanathDham, popularly referred as the Baba Dham is one of the 12 jyotirlinga in India and is considered to be one of the most sacred abodes of Lord Shiva in India. It is located in the Santhal division in Deoghar. The large and magnificent temple comprises of the main temple of Baba Baidyanathwhere the jyotirlinga is installed, along with 21 other significant and beautiful temples. The place offers unmatched tranquility and peace. It has a remarkable history attached to it. The temple has its mention in books and ancient scriptures. 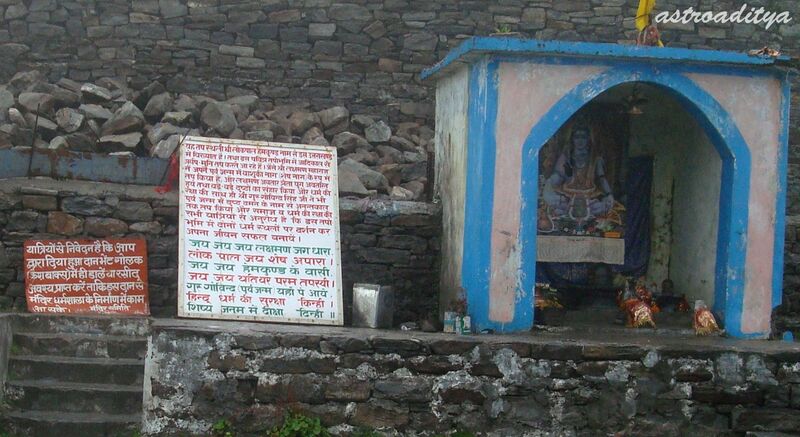 According to the Hindu belief, Ravan worshipped Shiva at this very site and offered him ten of his heads as a sacrifice, which Shiva cured and emerged as a doctor and hence got to be called as the Vaidhya. This is how the temple derives its name. The temple of Shiva, Baidyanath faces the east, and is 72 feet tall, and it is lotus shaped. There are three parts of this temple; i.e., the main temple, the middle part of the main temple, and the entrance part of the main temple. The top contains three ascending shaped gold vessels that are compactly set, which were donated by Maharaja of Gidhaur, Raja Puran Singh. Besides these pitchers shaped vessels, there is a ‘PUNCHSULA’ (Five knives in Tridenta shape), which is rare. In the inner top there is an eight petaled lotus jewel (CHANDRAKANTA MANI). The main ‘LINGAM’ (Lord Shiva) is also very rare. There is no such provision for “Sugam Darshan” or VIP Darshan from temple authorities. It is recommended not to get in the loop of Pandas who promises you that they would help you in darshan. You will be approached by many pandas in lieu of Pooja or Darshan etc but keep away from them. You can carry anything in the temple without any restriction. Still you are advised not to carry leather items just from purity point of view. Leather and bone are considered impure since they are derived from dead animals. Hence it is advised that people at least refrain from having them (leather objects) on their person in a temple. Keep a strict eye on your belongings like purse, mobile etc. if you are carrying these items with you. The BaidyanathJyotirlingam’s workshipping starts at 4:00 morning. From 4:00 AM to 5:30 AM, Sarkari Pooja goes on. The puja continues till 3:30 evening, after which the temple is closed which again opens at 06:00 evening for public. The temple gates finally close at 9:00 evening. As soon as we reached the hotel, we just dropped our luggage and ran for temple to have darshan. There was not much rush in temple and we had very peaceful darshan and took only 10 minutes. After this we explored the temple campus area. After some time, we thought to have darshan again. It was around 08:10 PM at that time. 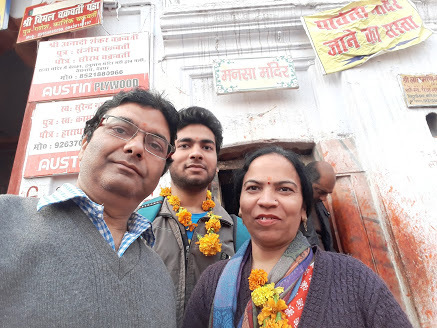 We came to know that main temple closes at 08:00 PM, so we dropped our idea and planned to come next early morning to have darshan and offer our Pooja and jalabhishek. Next morning, we reached temple around 07:00 AM. A panda with whom we had discussed last evening was waiting for us. He provided us some flowers and Jal (saying it was ganga jal). A plastic lota with water was available there for 10 Rs and flowers for 20 Rs. 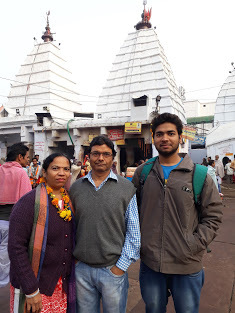 Our panda helped us to do the Pooja properly and then take us inside the temple to offer jal to baba Baidyanath. We were in queue which was very short, hardly having 50-70 persons. 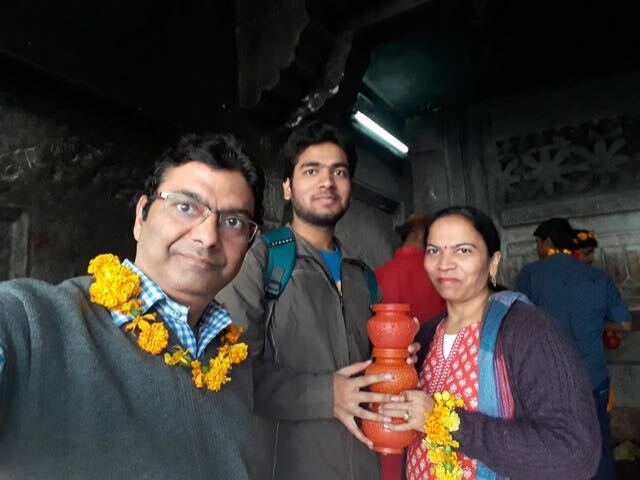 It took us only 5-10 minutes to offer jal on baba baidhnath shiv ling. Though there was not huge rush but again a lot hustle and bustle was there around baba baidhnath shivling. People were jostling a lot. Anyway we had our darshan and jalabhishek very peacefully and thanked the GOD and back to our hotel. 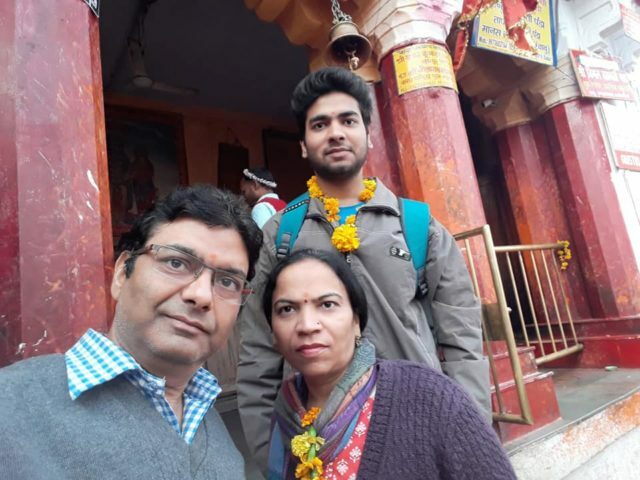 The gatbandhan ritual between shiva and parvati temple is a very lovely practice and you will be excited to see this practice and will thoroughly enjoy the scene. It is amazing to see how the person climbs up the dome so quickly and comes down back. Once you have darshan in these temples, your soul totally satisfies and it seems that no need to visit any other place for darshan for devotees. A Digambar Jain Temple is located near Tower Chowk Deoghar. It is a fascinating temple having idols of 23rd Tirthankar of Jain Bhagwan Parasnath. The carved panels of the temples depict scenes from Jain mythology. It also contains the special sculptors of Rajasthani artists on the coloured glass. It also contains a rare library with several important scriptures of Jains. A noted social worker and devotee, Tarachand Jain laboured hard to make the temple in the present position. Jainis from India and abroad visit the temple every year. Deoghar district has around 31 Jain temples, which are located inside the fort of Kanali on the beautiful hills. 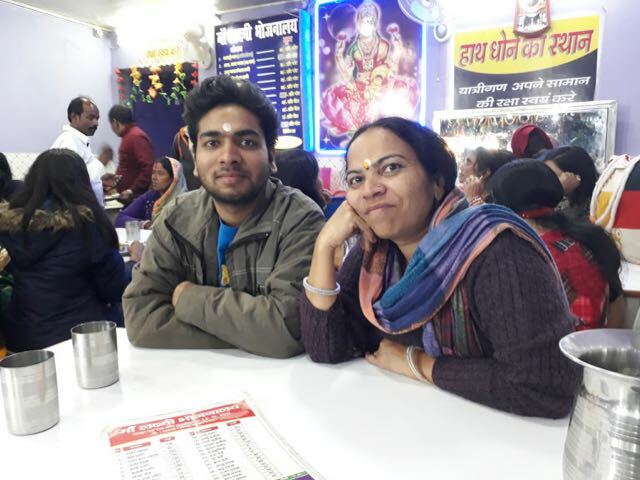 There are many good eateries around the Baidyanath temple. 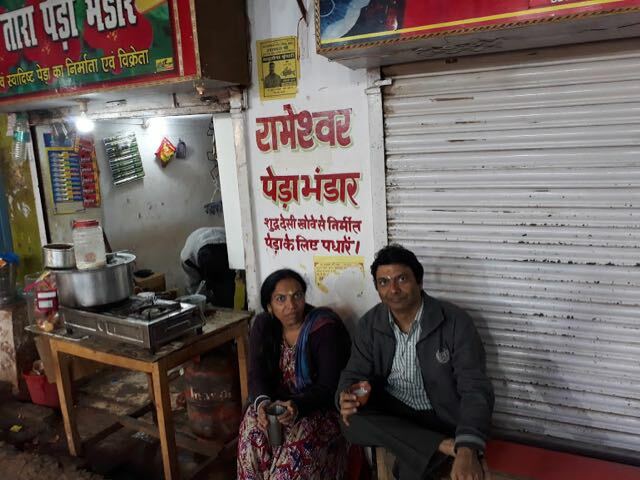 A lot of tea stalls are also three. Price are quite reasonable and eatables are quite satisfying. From there we headed towards Jasidih railway station to catch our train “12325 KOAA NLDM EXP” for Varanasi. Our next destination was “Varanasi” for Kashi Vishwnath”. The train was schedule to depart at 12:09 PM from Jasidih railway station. Do let me know if anybody is planning to visit this place and having some doubts. 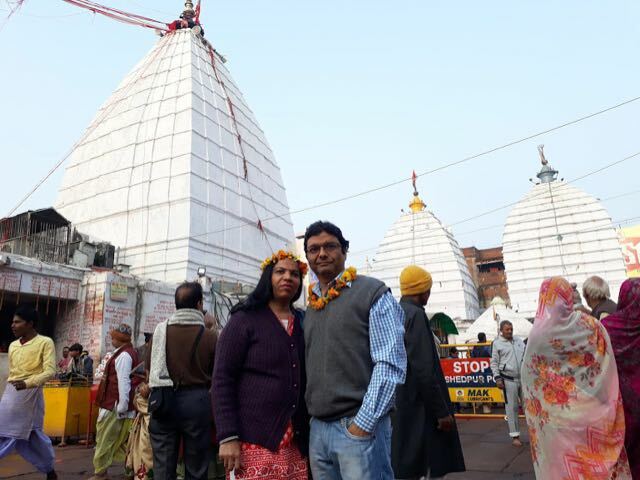 Thank you Mr. Gupta for the detailed log on Baba Baidyanath Dham. I had the privilege of visiting this holy shrine in 2012. I was attending a ‘Upnayan Samskara’ (thread ceremony) of my nephew. I recall a lot of small alleys all around it, as well as a pathway (kind of an elevated capsule through those alleys) which was made for pilgrims during rush season. Darshan was easy. Though the city was quite clean, and good infrastructure, the temple complex was not very clean or well maintained. May be during Sawan, the situation is better. Especially the kind was not clean at all. Just now, I searched those photos from that trip. Thank you Mr. Gupta for reviving my memories. Thanks for appreciating the article. During our visit, it was not peak season so we had darshan both time peacefully without much hustle and bustle. Though there was not much rush, still it was not an easy task to “Jalabhishek the Shivlingam”. People just keep on pushing you and it is very hard for children and aged person. A huge rush is observed on Monday and during Sawan when kawanriyaas come for jalabhishek. At that time you are not allowed to touch the shivlingam and have to offer Jalabhishek via aisles which is not that much satisfied. 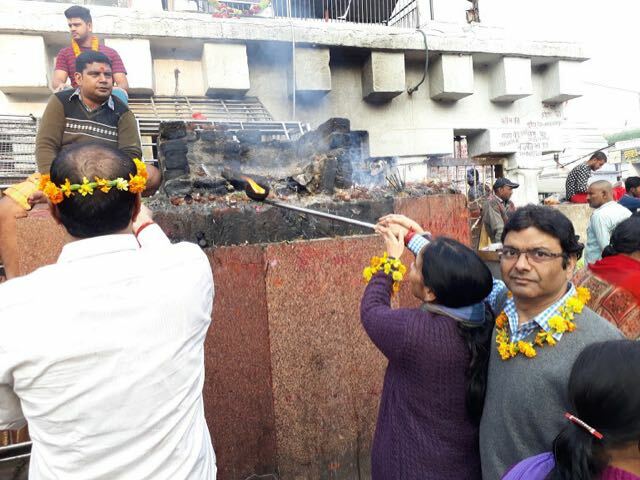 During Sawan, it will take you a lot of time to have darshan due to all mismanagement. Overall during our visit, temple and Surroundings were quite clean.